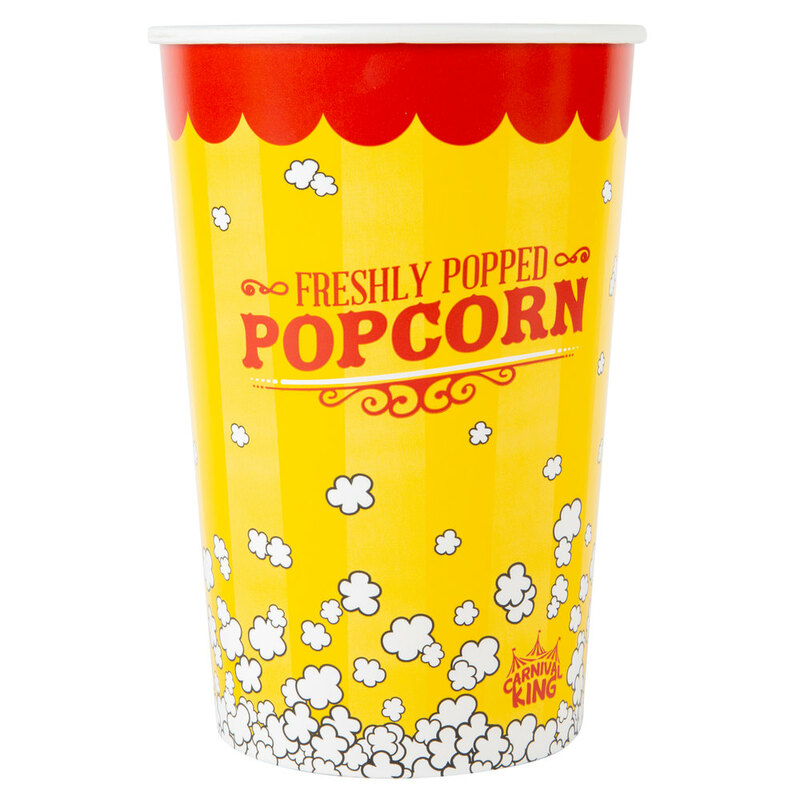 Pop buttery, fresh popcorn and send it along with your patrons in this Carnival King 64 oz. popcorn bucket! Featuring a classic round shape, bright colors, and playful popcorn graphics, this bucket makes a perfect addition to your concession stand, movie theater, or snack bar. The colorful design is sure to catch your customers' attention and help boost impulse buys! This bucket holds up to 64 oz. of popped popcorn. It's made of grease resistant paper so you can fill this bucket to the brim with buttery toppings without causing a mess. Guests will love this sturdy paper bucket for holding and carrying around their popcorn.